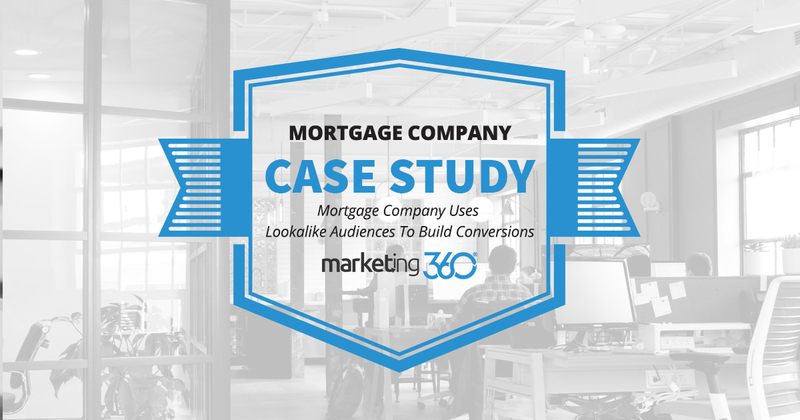 The Marketing 360® mortgage company marketing client uses lookalike audiences and brand channels to build their online conversions. Here’s how they do it. Sometimes the best starting point is where you’ve been before. A mortgage company specializing in veteran’s (VA) loans wanted to build their brand across about a dozen states. The problem was that they didn’t have the budget to cover this type of geographic area. They needed a more refined strategy. So we looked at their resources. One thing they had was a large email list made of people they’d done email/snail mail campaigns for. They also had a list of their current and past clients, most of which were veterans. Light bulbs started going off. Lookalike audience targeting on Facebook is a remarkable tactic. It lets you take a list of people who’ve already bought from or interacted with you, and mirror it to create a list of potential clients. 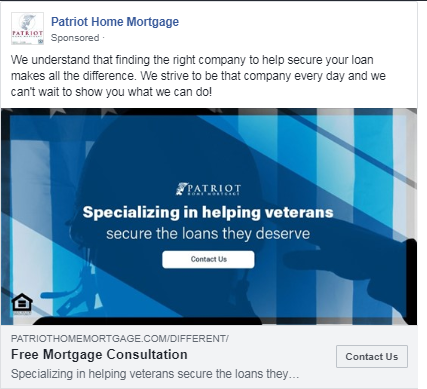 It is an outbound marketing tactic, but it’s targeted, particularly because the original list (of veterans) has a distinct demographic. These are actual phone leads coming off their website, so this is an impressive result. The marketing efforts we made also resulted in more brand related searches and direct traffic. The brand channel, in fact, delivers the highest number of conversions. So the traffic flow is strong and targeted. But another factor also comes into play. On an older version of their website, this business was funneling people towards requesting a quote. While this worked, they knew from experience that the way to close deals was to get people on the phone. So they engaged a call center and designed their new website to funnel action towards the phone call. This is the header that appears on every page of the website. Now, the majority of their leads are high-quality phone calls that they’re able to close at a high rate. These elements come together to provide really strong, targeted lead-generation for this mortgage company. They know where they’ve been, and they know where they’re going.